On Saturday 13th November 2010, after a short service of remembrance held at the Bandstand in Whitby, the poppy anchor wreath was taken out to sea by Whitby's all weather lifeboat George and Mary Webb. Canon David Smith, the Rector of Whitby and the Whitby lifeboat station Chaplain, gave a short prayer. After a period of silence in remembrance, the last post and reveille was sounded by Miss Lina Cox shortly thereafter two of the town’s Army Cadets placed the anchor into the sea. Three of the very many volunteer collectors helping to raise funding. 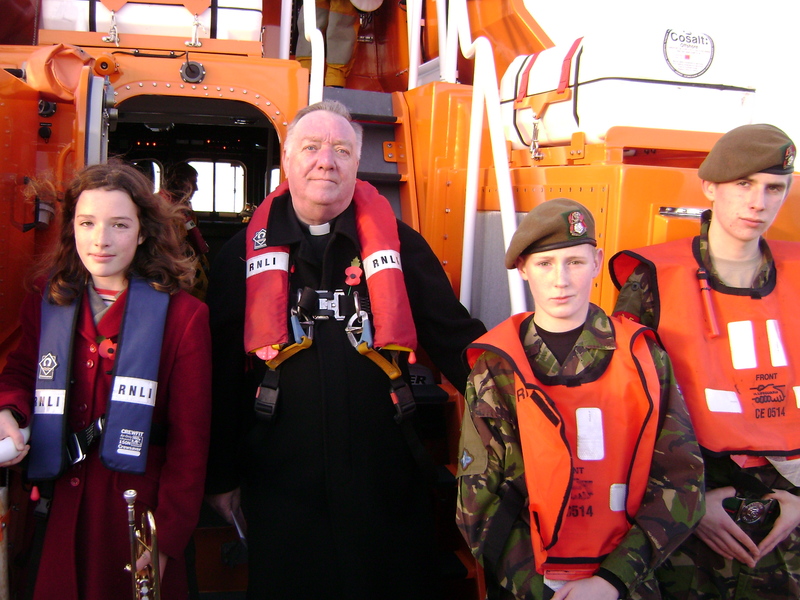 Canon David Smith, the Rector of Whitby and Whitby lifeboat station Chaplain, pictured above with Miss Lina Cox and two of the town’s Army Cadets. 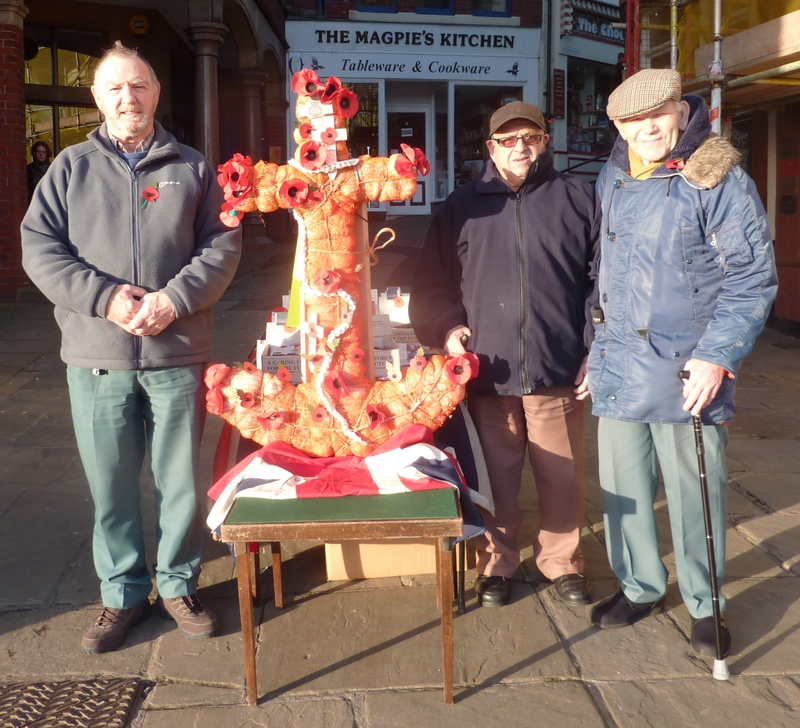 The event always takes place on the Saturday preceding Remembrance Sunday and commemorates all those who have died at sea, especially those from the Royal Navy, Merchant Navy, and Fishing Fleet.